Active adults coveting a spot in Del Webb at Union Park will be glad to hear sales have begun. Active adults who want to enrich their lives with new friendships and fun activities in a sociable, welcoming environment will delight at all they discover in Del Webb at Union Park. This vibrant 55+ community in Little Elm, just north of Dallas, is designed to bring people together while encouraging wellness in all aspects of life. Active adult homebuyers who have eagerly awaited the opportunity to move to this community don’t have to wait much longer – homes are now for sale. Some quick move-in homes should also be ready in late February or early March. Del Webb at Union Park provides an unparalleled quality of life for active adults. Holistically designed as a LiveSmart community by Hillwood Communities, Del Webb at Union Park specifically address five key principles that nurture community values while providing personal value: enrichment, connection, stewardship, well-being, and convenience. Situated within the Union Park master-planned community, Del Webb at Union Park stands out as a unique multigenerational community that focuses on bringing neighbors together as friends. Discovering a dream home is easy at Del Webb at Union Park. Whatever kind of home active adults are searching for, they can find it here. This age-restricted community offers an array of single-family homes that come in 10 different single-story floor plans. Homes range in size from 1,400 to 2,500 square feet, giving active adults plenty of options when it comes to finding a home with the just-right amount of space. Active adult homebuyers can relish in the fact that best-in-class builders expertly bring together timeless design and innovative technology to create resort-style homes. Whether they’re ready to move immediately and seek a move-in ready home or they want to be involved in the design process and select their favorite color schemes and upgraded features, active adults can discover an option that fits their preference and budget. Union Park offers residents plenty of outdoor amenities. In addition to timeless, consumer-inspired homes, Del Webb at Union Park will provide a healthy, fun-packed way of life for residents. Active adults who may feel isolated or lonely from time to time can take comfort knowing this neighborhood is built around community and forming friendships. Research shows that living in a community brings major health benefits. Those who choose to live in a community put themselves in a better position to remain physically, emotionally, and mentally connected compared to their peers who choose to stay in their family home. Living in Del Webb at Union Park allows for an enriching quality of life thanks to the many opportunities to bond with neighbors and share experiences with friends. An on-site lifestyle manager will plan and host more than 300 events, activities, and gatherings each year, making it easy for residents to stay socially active. The 55+ community offers an appealing array of options for residents of all ages and interests, from family movie nights and yoga classes to ladies’ brunch and guys' night out. Whether active adults want to pick up a new hobby, mingle with new neighbors, or just relax with friends, Del Webb at Union Park provides plenty of ways for residents to live life to the fullest. When it comes to resort-style living, Del Webb at Union Park offers a treasure trove of amenities. 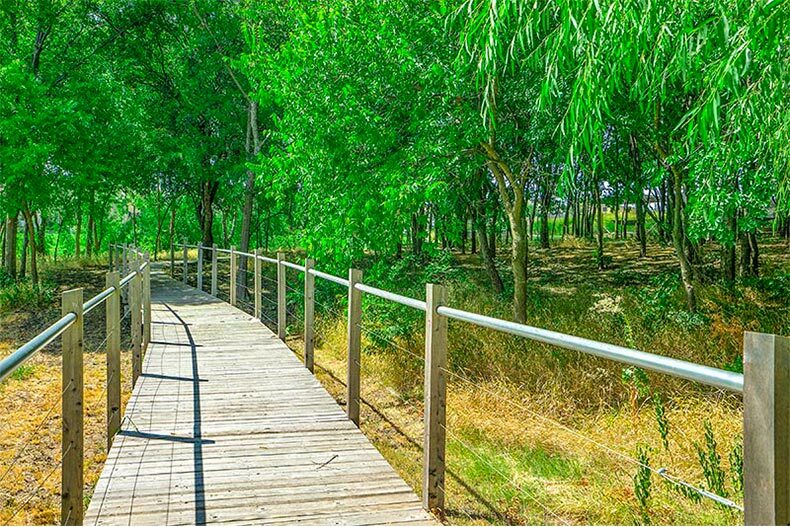 Natural beauty abounds in this picturesque community, from the lush green belts and woods of Central Park to the ADA-accessible discovery park, which is the perfect destination for enjoying a pleasant Texas day with grandkids. Whether active adults want to take a leisurely stroll or go for an afternoon bike ride, they can pursue almost any whim at the community’s 30 acres of fields, woods, and trails. Residents can also partake in a variety of fun activities at the clubhouse, which will feature a resort-style outdoor pool and a state-of-the-art fitness center with all the latest weight-training and cardiovascular equipment. 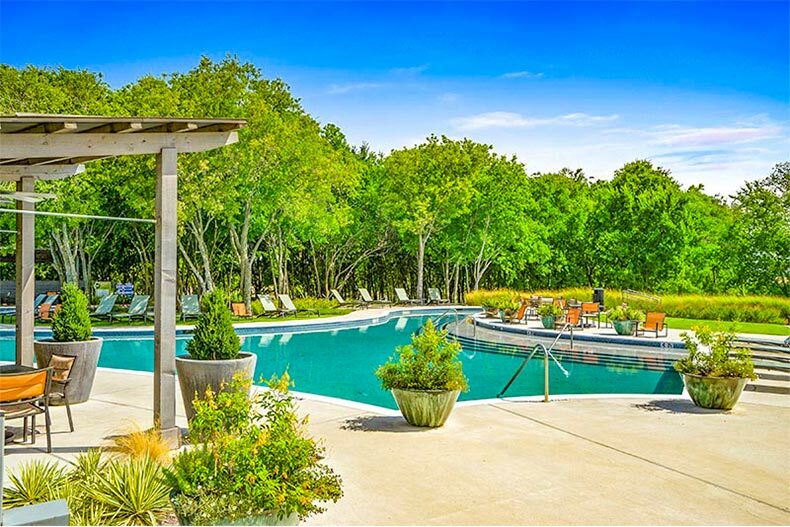 Sports enthusiasts can swim laps in the pool or meet up with neighbors for a friendly game of tennis or bocce. Those who want to tap into their creative side can learn how to cook, brush up on their computer skills, or try their hand at painting. Card games remain another great way for neighbors to get to know each other. Homeowners can take a stroll over to Lewisville Lake, which is within walking distance of Del Webb at Union Park, and enjoy fishing, boating, and local golf courses. For live music and exciting dining options, downtown Denton is just minutes away. Active adults who want the world-class shopping, recreation, and entertainment in Dallas can easily travel to Big D, which is only 45 minutes away. With homes for sale, now’s the time for active adults to explore life in the community of Del Webb at Union Park.